Curve Card has announced a new benefit for cardholders today – 0% foreign exchange fees. Curve has always been a good deal for making payments abroad. Historically it levied a 1% fee on foreign transactions, which it recharged to any linked Visa or Mastercard. If you didn’t have a separate 0% FX fees credit card then using Curve was better than paying 3% to your standard credit card provider. Even if you did have a 0% FX fees credit card, it was often more valuable to pay Curve’s 1% fee and pick up miles or points from your linked credit card. From today, Curve will drop its foreign exchange fee to 0%, albeit with a small weekend surcharge. It is important to note that it is using the interbank rate and NOT the official Visa / Mastercard rates – which are a tiny bit away from the spot rate – so there is absolutely no FX loss at all. If you are abroad a lot, the £50 Curve Black card now looks attractive. Let’s imagine that you have £10,000 of annual foreign spending. You would be paying £300 in fees on a standard credit card. You could use a 0% card with 0.5% cashback like Tandem and receive £50 back. Alternatively, you could a premium Mastercard or Visa – at the top end, the Virgin Atlantic Reward+ card – and pay 0% in FX fees and earn 15,000 Virgin Atlantic miles. This new Curve benefit is also a good way of helping to trigger a long term spending bonus, such as the free night on the IHG Rewards Club Premium Mastercard (requires £10,000 of spending) or the 2-4-1 vouchers on the new Virgin Atlantic credit cards (require £10,000 – £20,000 of spending). If you were thinking of upgrading to Curve Black, I recommend doing it sooner rather than later. This card will see a substantial change to its benefits package and fee in a few weeks, but by upgrading now you will be locking in the £50 fee for 6 months. If you’re not familiar with Curve, this is how it works. 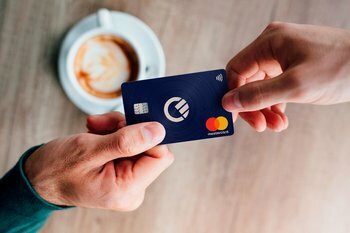 Curve is a Mastercard DEBIT card that recharges every purchase you make to a linked Visa or Mastercard credit or debit card. And the best bit is that Curve Card is free. In fact, it is better than free – Curve Card will pay you £5 for taking it out. You can withdraw £200 of cash per month from an ATM and have it charged to your credit card as a purchase – this means it earns miles and points. 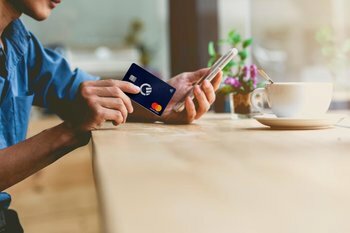 This benefit may go away soon as credit card companies can now see what you are doing following a change in how these transactions are processed, but for now it is business as usual. Foreign currency transactions made on Curve are recharged to your linked Visa or Mastercard in Sterling with a 0% foreign exchange adjustment as we discussed above. This makes it a better deal than using the underlying card which is likely to have a 3% FX fee. There ARE FX fees for transactions at weekends and if you go over £500 per month. One thing you CANNOT do with Curve is pay a financial services institution. As with Billhop, HMRC is NOT treated as a financial services institution so you are fine. Curve Card has an annual payment limit of £50,000. This is fine for most people. You won’t get this ‘out of the box’ however – you need to use the card for a few months until your limits build up as the company begins to trust you. The Curve Card is FREE so there is no harm in trying it out. If you use a refer-a-friend code when you sign up – my code is OQB4J – you will receive £5 off your first transaction with the card. You must use a referral code to get the £5 credit. The Curve website is here if you want to know more. You need to download the Curve app for your phone and order a card from there if you want to try it out. Depending on whether £500 per month covers your foreign currency spending or not, this new development is either a major benefit or just a small tweak to the Curve package. 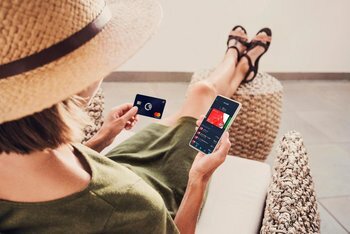 If you are a heavy foreign spender who would benefit from the £15,000 per year of 0% FX spending – and you have a suitably rich Mastercard or Visa rewards card to recharge your spending to – then you may want to upgrade to Curve Black for £50. As I said earlier, there are other fundamental improvements to Curve coming in a few weeks which will be of strong interest to Head for Points readers, so it is definitely a product to keep on your radar if you do not have one already. Following up on my comment above about where I’d spoke to Creation this morning and my attempted Curve transaction to pay my Amex bill was blocked by Creation as it was flagged as a cash withdrawal by Curve and was over my daily limit (and would incur charges from Creation). If Curve are now sending detailed MCC code information to Creation then won’t they do the same if I withdraw money from an ATM and I’ll then be hit with the cash withdrawal/advance fee from Creation? Or have I misunderstood? Yes, they will do the same. I have done a couple of test transactions today so you may want to wait and see what happens to those. That would be a massive downgrade in usability then as that would also affect overseas withdrawals surely?! I guess the same with HMRC payments as well? This is getting worse and worse! Will wait and see what happens to your test transactions (and the small HMRC payment I made this morning). It was the only card as l linked it to IHG but also the ability to get hold of cash was super handy. Now looks like I’ll probably be back to 2 cards. First world problem ???? Mr. AC – what’s the point(s)? I don’t think there’s a value limit with Apple Pay as it’s verified via Touch or FaceID. What’s the point of doing that, Mr AC? Why not just use your debit card to make the withdrawal? Because it was. But if that is because they hadn’t done what they told me they had done …. Can I link a foreign debit card with the curve card?? You always could, you just need to sent the currency in the app. If a card provider charges a handling fee would this show up immediately or at month end? that will probably vary between providers. I am right in reading between the lines, that a higher annual curve limit card will be issued? Will this be unlimited? Will daily monthly limits be increased? I am desperately wanting a high limit curve card. It is a great card but sadly the limit is just not enough for my spending. Just wondering, as I have hit my limit, if I cancel and reapply, I assume my curve limits will be reset? Will anything they do bring Amex back to Curve ? Maybe a premium paid for version ? You won’t get a rewards credit card in your company name. Ah I see. Thanks for the reply. Is there a way to do this through my personal account then? Just pay it via Curve and your personal card. As long as you don’t have an outstanding balance to yourself on your company year end date, which would probably require some kind of directors loan statement being made in the accounts, your accountant is unlikely to care. this. I gather that means foreign credit card withdrawals have gone too. Its all very well offering free fx but soneone has to pay for it somewhere. Also does the black card have an annual fee? I thought it was a one off fee. Worth getting in before it changes as unlimited fx and gigher cash withdrawal limit? What was a simpke 1% has now tuned in to a plethora of fees and weekend markups. The biggest loss if true and a dealbreaker will be if you can’t withdraw cash on a credit card and charge it as a transaction. Can anyone cnfirm f its changed? This website is as clear as mud. I personally wouldn’t use it for cash withdraw any more just in case it goes through as cash advance. Read our articles from last week. What article? If the credit card thing is lost then I don’t see the point in this. The impression I got is that your one-off £50 fee will turn out not to be one-off. HSBC seems ok so far. Can’t tell with MBNA as Horizon is free anyway for cash withdrawals. Does this mean if I withdraw say £500 in currency equivalent that i pay a £2 charge or does it mean I pay a 2% fee with a minimum amount of £2 which would mean a £10 charge but minus the free allowance of £4 making it £6? It seems a funny way of wording it but I gather it means 2% fee with a minimum charge of £2. At first I thought it was 2% or £2 whatever is the greater charge. Any news on the MBNA cash on a credit card yet? You pay £2 or 2% per withdrawal once you’ve gone above £200. I imagine that if you did a £500 withdrawal having done nothing else in the month you would pay £6. What seems to be happening, by the way, is that pseudo-cash transactions are being caught by the daily cash withdrawal limit on your credit card, usually £250. This happens even if they are not being charged as cash. People who are saying they cannot use Curve to pay x or y should try £200 – which will be inside every credit cards daily cash withdrawal limit – and see what happens. I have £100k annually on fx which I currently use Lloyds Amex for. Will Curve offer an alternative when Lloyd’s stops?